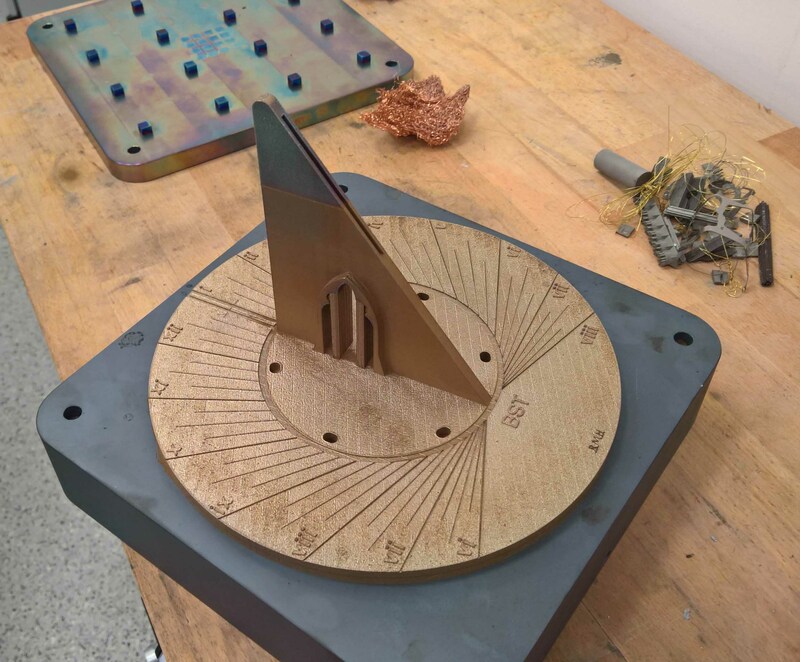 Because sun dials are specific to one latitude and longitude, a bespoke product was essential for the project to be successful. Renishaw used its own additive manufacturing technology to produce a precise final product. The finished sun dial was unveiled at the Friends’ Summer Party in August 2017 and will be displayed in the Castle’s garden on a pedestal.